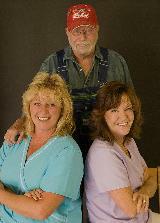 Murphy's Orthopedics & Foot Care is proud to feature a staff with a combined 70 years of experience. We specialize in custom foot orthotics, diabetic shoes and inserts, bracing, and post mastectomy forms and bras. Our custom foot orthotics are prescribed for numerous conditions: Leg discrepancies, back pain, hip discomfort, Plantar Facitiis, heel spurs, and pronation laxity, and other more sever conditions, and are recomended for tired and achey feet. FULL LINE OF DIABETIC SHOES FEATURING PROPET', DREW, PW MINOR, CUSTOM DIABETIC INSERTS & MORE! We carry numerous brands of bras and breast forms for post mastectomy lumpectomy, augmentation, and breast reduction patients. We offer private and comfortable fitting rooms so that we can help you look and feel as good in your clothes as you did before surgery. In addition to our breast forms and orthotics, we offer items such as knee ligament bracing, back bracing, walking boots, fracture boots, and AFOs. From your neck down to your toes, we have your bracing needs covered. Additionally, we have orthopedic buildups for post-op leg discrepancies, birth defects, diseases, and injuries. Contact us today at (866) 586-6117 to learn more ! "Don't Be Fooled by Imitators"